While I’m mostly read science fiction with some fantasy once-and-awhile like Vertigo’s Fables series. My only exposure to J.R.R. Tolkien’s Middle-Earth saga were airings of Rankin/Bass Productions’ adaptations. I-for-one remember key moments like Bilbo Baggins’ encounter with the dragon, Smaug or Frodo losing his finger by Gollum. Bilbo played by Martin Freeman (Sherlock) is a much better character then his future pansy nephew (Elijah Wood). He protects Thorin Oakenshield (Richard Armitage) from Azog the Defiler (Arrow‘s Deathstroke, Manu Bennett) after he gets curb-stomped aswell as fighting against those giant spiders. Ken Stott (Shallow Grave) as Balin (Spoiler) has that likeable uncle quality besides being surgent-father to Thorin. Battle of the Five Armies (originally There and Back Again) was a forgettable threequel likewise last installment to this franchise. Thorin finally going coo-coo from apparent “Dragon Illness” which myself thought the Arkenstone served corrupted-MacGuffin for the dwarves. Some fights happen, onto Lord of the Rings, it’s over. More intervention (the birds) whenever characters are in a no-win scenario. Galadriel (Cate Blanchett) throughout this series does nothing but spout exposition while being all etherial (accept when she went crazy). Apprently her darkside was stronger then Sauron (Bendict Cumberbatch/Doctor Strange)? Kili (Aidan Turner) along with Tauriel’s love story wasn’t engaging when it started nor even after it “tragicially ended” since none denoting equivalences (accept Phili) have died prior. 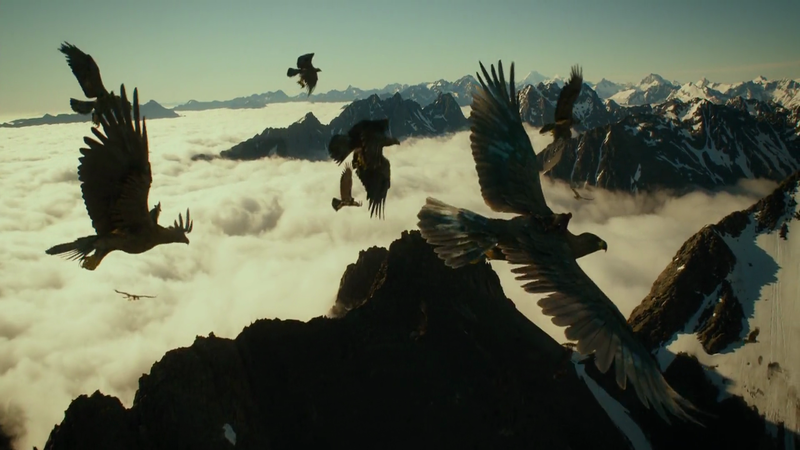 Lastly Howard Shore plays Erebor’s theme twice-to-many (We get it).